"Family quarrels are bitter things. They don't go according to any rules. They're not like aches or wounds, they're more like splits in the skin that won't heal because there's not enough material." In Texas and the United States as a whole, we don't really have forced inheritance, birthright, or any of that nonsense. If you want to give someone something that is yours, we generally let you do it. If you die without a plan, we have a plan set up for you (see here) that makes sure it stays in the family and spreads it around equally. We also have rules so that if do accidentally forget to update your planning, your surviving spouse or minor children will be taken care of. It is not a bad system, for the most part. The flip side of this is the old bitter pill that is the undue influencer. What this mean is one person uses their position of power, be it money, physical intimidation, coercive words, threats of any kind, whatever really, over another to influence that person into acting according to the other person's desires. Said even more plainly: Dad died and Mom lives in a rest home outside of Lubbock, where Daughter, a single person, lives nearby. Son lives in Houston with his spouse and two children, and gets to see Mom on the holidays and a handful of other times of the year. All seem to have a good relationship. That is, until Mom passes away. After the funeral, Son asks Daughter what about Mom's estate: her retirement, the family farm, bank accounts, and Dad's silver coin collection. Daughter says that she had Mom's power of attorney, was POD or joint on all her financial accounts, and Mom wrote a will shortly before her death leaving everything to Daughter. Basically, Son gets nothing. Son is floored. Why would Mom do this? He needed the inheritance for his children. Mom was getting on in years, and starting to lose it a little. Did she have the mental ability to make these decisions? Did Daughter have something to do with it? Daughter was the one who took care of Mom, took her to her doctor's appointments, took her to get her hair done, took her to the store. She was the one who got the call at 2 A.M. when Mom fell, and was the one who sat with Mom in the hospital for weeks on end last year. Son flew up to check on Mom, but had to get back for work soon after. Didn't Daughter deserve to be paid for her affection? So what if she named herself on all those accounts using the power of attorney. So what if she convinced Mom to make a new will, and that she should leave Daughter everything. Daughter sacrificed everything for Mom, son moved far away and spent all his time at work and with his wife and kids. What now? Son can try to get the will set aside, but its not easy, or cheap. What did Daughter do using the Power of Attorney? Good luck getting the financial records for the last 10 years to see where the money went. The coin collection? Can't find it, Mom must have sold it or given it away a while ago. Son asks Daughter why this happened, asks her to split the estate like Mom had always said. Daughter says no, Mom changed her mind. How do you find the truth? Regardless of the next steps, whether it's a lawsuit, some sort of mediation, or Son gives up, siblings and a family are now estranged for life. Daughter could have manipulated Mom to make these changes, or Mom could have made the changes in good faith, because she wanted to, without any urging from Daughter. Either way, it is now a family rift that will likely only widen. Have "the Talk". Who is going to take care of the parent? Are they going to be paid? Are they the sole power of attorney holder? Where are the parent's assets, and who can make these decisions? This is tough for the fiercely independent parent, so be cautious here. Maybe start with your siblings, and put on a united front. 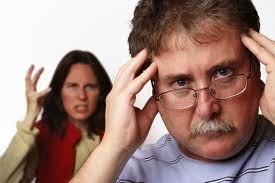 Be wary of second marriage and step/parents/siblings, these are where battle lines are drawn. Another option is to leave the power of attorney documents with a trusted friend or advisor, who can make the decision when it is necessary or appropriate to give a child all that power. Get to know your client and their family situation. The one "no good" son in Houston that you are disinheriting in the will you are drafting may be the good kid after all. This can be extremely difficult to identify, so you will have to decipher the code from the questions you ask your client and the circumstances around why they are creating a will or other disposition. You have options. If your sibling or family member acted under a power of attorney, they had a duty not to act in a way to benefit themselves. Transactions can be undone, assuming the money is not spent already. Wills can be overturned due to undue influence and a variety of other remedies. The best course, however, is to stay in the know and have a healthy understanding of the family state of affairs with all parties involved. If all else fails, maybe your sibling will have a conscious and make a deal to split things. Have a safe and happy Memorial Day, and thanks to all those who serve or have served.